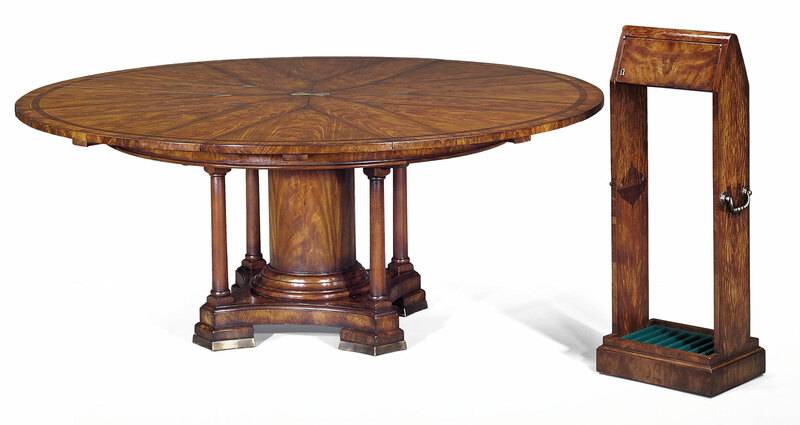 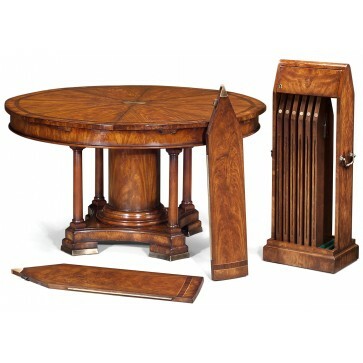 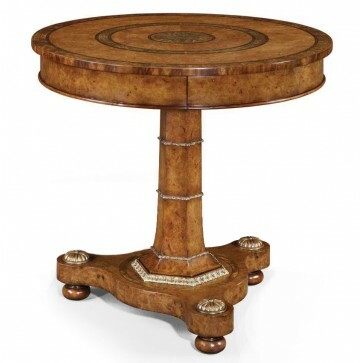 A fine replica of Robert Jupe's patented circular extending dining room table in crotch mahogany. 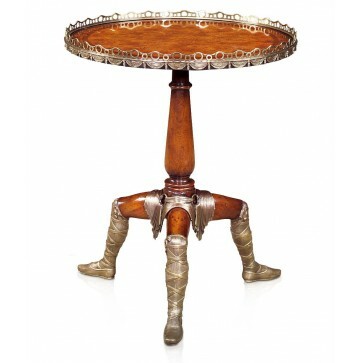 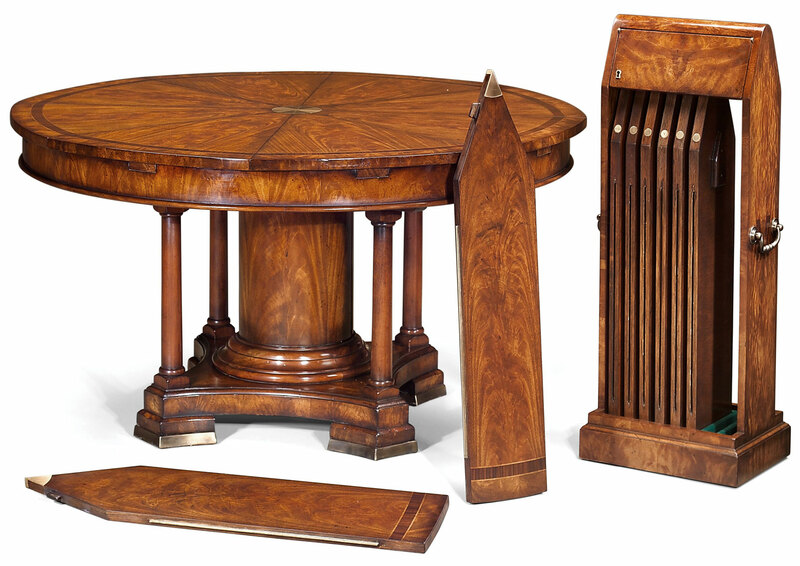 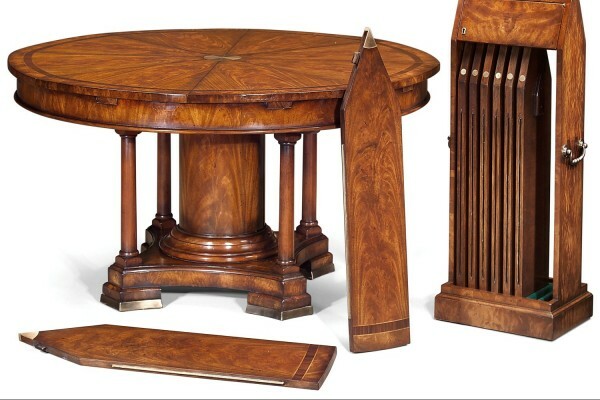 The original Jupes tables were manufactured between 1835 and 1840 and are extremely rare, fetching up to nearly US$ 500,000 at auction. 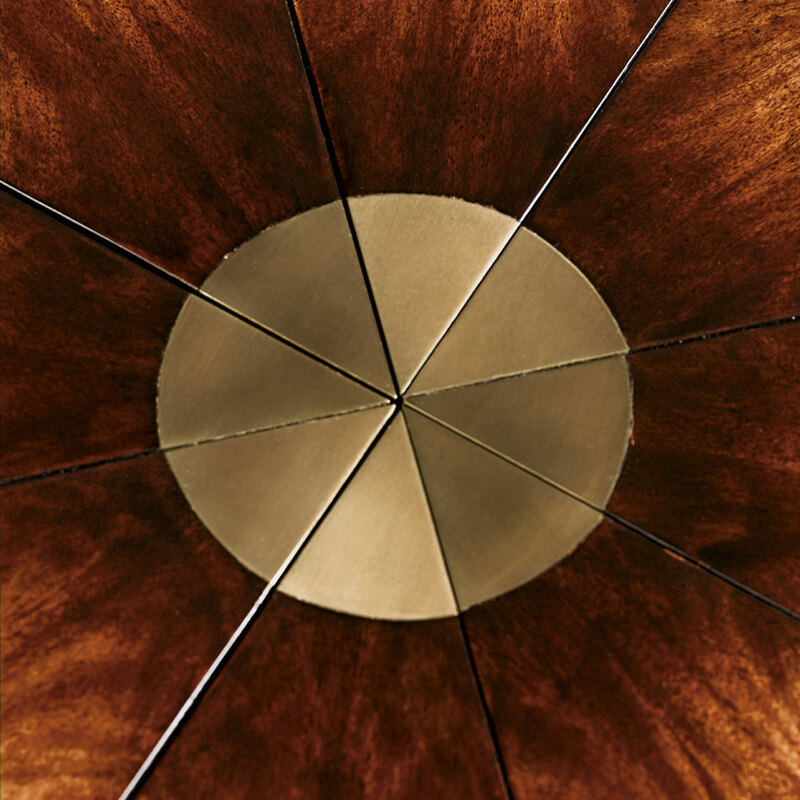 The swivel action top is formed of eight spin-out triangular segments with additional leaves to expand the table top which is raised on a substantial centre turned pillar and four turned columns on a concave platform base. 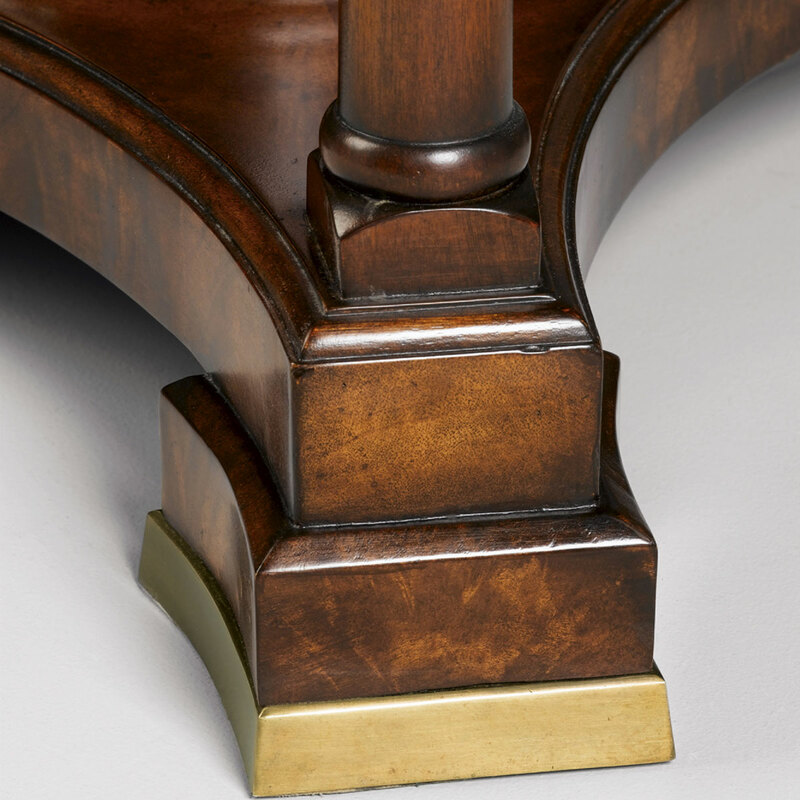 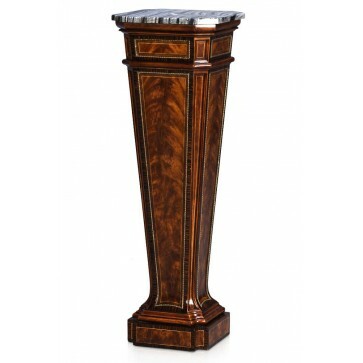 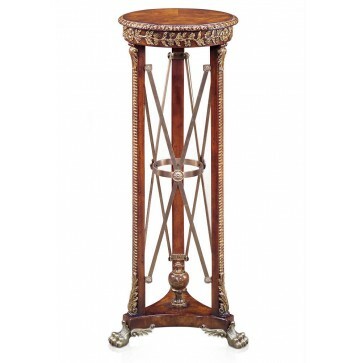 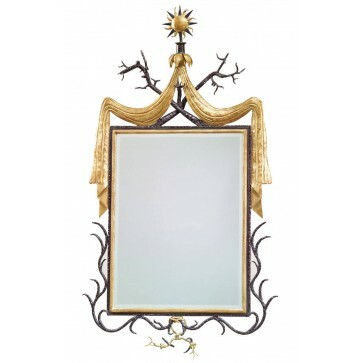 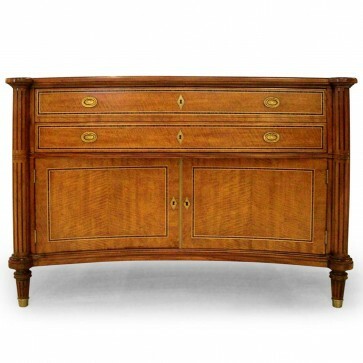 The handmade internal capstan action and inset corners are of solid brass construction. 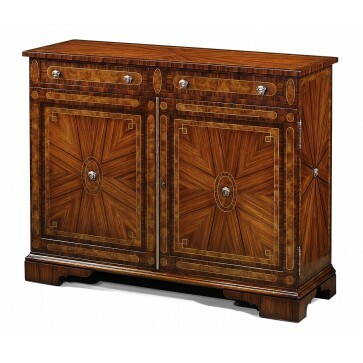 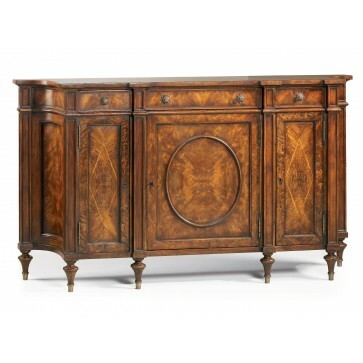 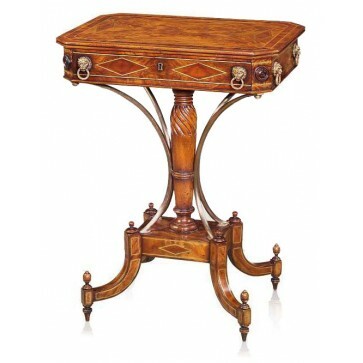 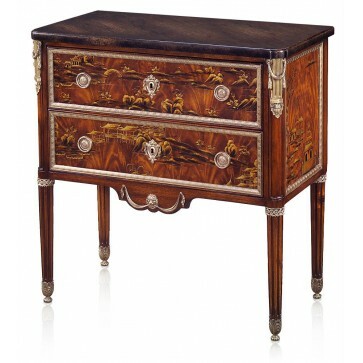 The table is accompanied by an appropriate baize lined leaf cabinet.